November 20, 2018 4:57 pm. 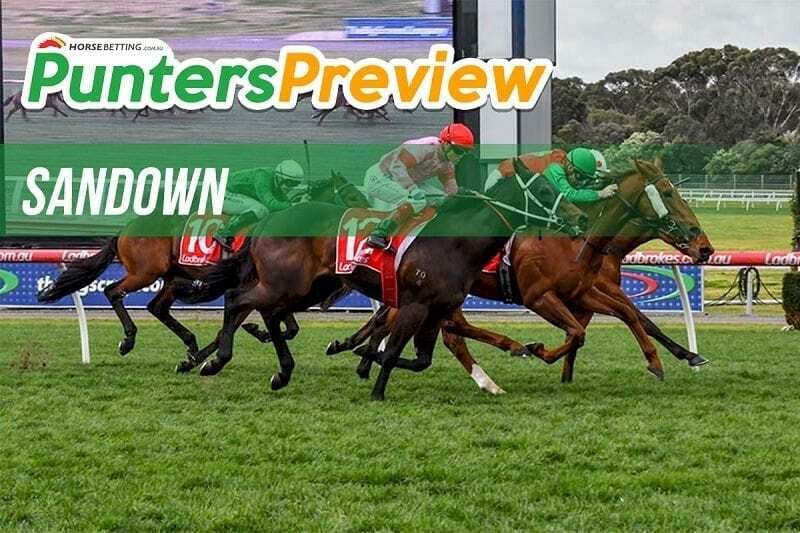 MID-WEEK racing returns to Sandown this Wednesday and a quality eight race card awaits punters. The team at Horse Betting has pored over the form and delivered its tips for the entire card, so let’s get stuck straight into the action. Lord Of Darkness looks well placed in this event after two quality career runs. After finishing second in his debut run the gelding then went on to record a fourth placed finish at Ararat. The 1400m looks to be the right trip and we’re backing the three-year-old in to break the duck. Ordell resumes here looking to go one better on her two career runs. The three-year-old has finished second twice from two runs, one of which was a debut run where she only missed out by two parts of a length. Despite jumping from a wide gate we think Ordell is good enough to deliver a first-ever win at Sandown. Kaplumpich has won twice from his last three starts and looks poised to continue the good form. Darren Weir has the colt percolating, winning a last-start race at Moonee Valley in much smarter company than this. Kaplumpich gets a weight rise but is good enough to overcome. North Afrika looks a great place chance in a tricky event. From four runs this preparation North Afrika has placed in three events, including a pair of second-placed finishes leading into this event. The horse delivered a front-running display in his last start and only just faded late to miss out. From a wide gate North Afrika will go forward and attempt to run a similar race to the last-start effort. Mr Exclusive drops back from graded racing and looks a class above this field. The three-year-old is carrying less than weight than what he had been, and despite not setting the world on fire at the higher level this appears to be very winnable. Craig Williams takes the ride and we’re confident of a strong showing. Californiagrandcru only narrowly missed out on victory in his last-start second at Sale. The horse has a good record of two placings from as many starts at the distance and we’re not worried by the wide gate given the way the Snowden runner races. Californiagrandcru will need some luck not to be caught wide but we’re confident the gelding will be in the finish. Lindsay Park runner Earth Angel looks well suited to putting in a strong performance. The Hayes, Hayes and Daberning-trained mare finished just under a length and a half off winning at Flemington on Ladies Day and this should be a much easier affair. David Hayes believes the Sandown trip will suit Earth Angel and we agree. Ocean Deep is first-up in the final event on the Sandown card, where the four-year-old mare has won at in the past. The Lindsay Park runner is drawn perfectly and returns to a track where she has won at in the past and a distance where she has two wins from three attempts. Ocean Deep should round out the Sandown card in style.